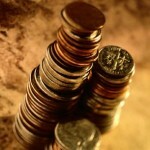 As from today CheckMEND will be checking millions of records supplied by finance providers. This means that if we have a record that the item you are searching has a current finance agreement outstanding on it we will let you know. We hope this will be a useful addition to the service as many of you have told us this is a major issue and concern for you as you don’t want to buy items where there is outstanding finance. 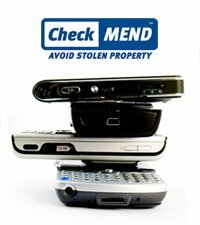 Boston Police have today (30th June 2010) agreed to a 30 day trial of the new CheckMEND service in the USA prior to it going live with all pawn and second-hand dealers in their jurisdiction. If the trial is successful Recipero see this as a very exciting opportunity to extend the service to every US law enforcement agency to create a national free transaction submission and Police checking service. 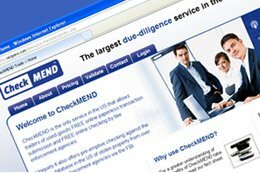 Unlike Europe second hand dealers and pawnbrokers in the US have to supply details of transactions to their local law enforcement agencies so CheckMEND has widened its remit to include this in the process of running a due diligence check. At the same time Recipero, the owner of CheckMEND, has rewritten its US NMPR platform so free of charge US law enforcement will be able to view CheckMEND transaction data via the US NMPR as well as being able to match the data with crime reports provided to the NMPR (via the Trace Checker system) from over 18,000 US law enforcement agencies. The pocket spy: Will your smartphone rat you out? – tech – 14 October 2009 – New Scientist. THERE are certain things you do not want to share with strangers. In my case it was a stream of highly personal text messages from my husband, sent during the early days of our relationship. Etched on my phone’s SIM card – but invisible on my current handset and thus forgotten – here they now are, displayed in all their brazen glory on a stranger’s computer screen. I’ve just walked into a windowless room on an industrial estate in Tamworth, UK, where three cellphone analysts in blue shirts sit at their terminals, scrutinising the contents of my phone and smirking. “If it’s any consolation, we would have found them even if you had deleted them,” says one. I’m at DiskLabs, a company that handles cellphone forensic analysis for UK police forces, but also for private companies and individuals snooping on suspect employees or wayward spouses. Armed with four cellphones, which I have begged, borrowed and bought off friends and strangers, I’m curious to know just how much personal information can be gleaned from our used handsets and SIM cards. A decade ago, our phones’ memories could just about handle text messages and a contacts book. These days, the latest smartphones incorporate GPS, Wi-Fi connectivity and motion sensors. They automatically download your emails and appointments from your office computer, and come with the ability to track other individuals in your immediate vicinity. And there’s a lot more to come. Among other things, you could be using the next generation of phones to keep tabs on your health, store cash and make small transactions – something that’s already happening in east Asia (see “Future phones“). So just how secure is the data we store on our phones? If we are starting to use them as combined diaries and wallets, what happens if we lose them or they are stolen? And what if we simply trade in our phones for recycling? According to the UK government’s Design and Technology Alliance Against Crime (DTAAC), 80 per cent of us carry information on our handsets that could be used to commit fraud – and about 16 per cent of us keep our bank details on our phones. I thought my Nokia N96 would hold few surprises, though, since I had only been using it for a few weeks when I submitted it to DiskLabs. Yet their analysts proved me wrong. they were able to pull up images of the front of my office and my home – with the house number clearly displayed. Sports Tracker also recorded what time I normally leave the house in the morning and when I return from work. 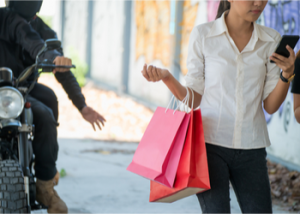 “If I wanted more information, then I could just stalk you,” says Neil Buck, a senior analyst at DiskLabs. I had deliberately chosen to turn Sports Tracker on, and many people might not stop to consider how such programs could be used against them. In February, Google launched Latitude, networking software for smartphones that shares your location with friends. It can be turned off, but campaign group Privacy International is concerned by Latitude’s complex settings and says it is possible the program could broadcast your location to others without your knowledge. “Latitude could be a gift to stalkers, prying employers, jealous partners and obsessive friends,” the organisation warns. A phone-based calendar could also leave you vulnerable. Police in the UK have already identified burglaries that were committed after the thief stole a phone and then targeted the individual’s home because their calendar said they were away on holiday, says Joe McGeehan, head of Toshiba’s research lab in Europe and leader of DTAAC’s Design Out Crime project, which recently set UK designers the challenge of trying to make cellphones less attractive to people like hackers and identity thieves. “It’s largely opportunistic, but if you’ve got all your personal information on there, like bank details, social security details and credit card information, then you’re really asking for someone to ‘become’ you, or rob you, or invade your corporate life,” McGeehan says. When Buck looked at my colleague’s iPhone, he found two 4-digit numbers stored in his address book under the names “M” and “V”. A search through his text messages revealed a few from Virgin informing him that a new credit card, ending in a specific number, had just been mailed to him. Buck guessed that “M” and “V” were PIN codes for the Virgin credit card and a Mastercard – and he proved to be correct on both counts. In this way the DiskLabs team also identified my colleague’s wife’s name, her passport number and its expiry date, and that she banks with Barclays. Ironically, Barclays had contacted her regarding fraud on her card and she had texted this to her husband. Buck’s team also discovered my colleague’s email address, his Facebook contacts, and their email addresses. This kind of personal data is valuable and can fetch a high price online. It’s ideal for so-called 419 scams, for instance, in which you receive an email asking for help in exporting cash from a foreign country via your bank account, in exchange for a share of the profits. “What they need to launch a successful 419 scam is personal information,” says Jones. A growing awareness of identity theft means that many people now destroy or wipe computer hard drives before throwing them away, but the same thing isn’t yet happening with cellphones, says Jones. At the same time, we are recycling ever greater numbers of handsets. According to market analysts ABI Research, by 2012 over 100 million cellphones will be recycled for reuse each year. As part of a study to find better ways to protect cellphone data, Jones recently acquired 135 cellphones and 26 BlackBerry devices from volunteers, cellphone recycling companies and online auctioneers eBay. 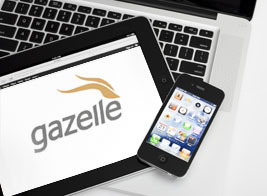 Around half of the devices couldn’t be accessed because they were faulty. In our own smartphone experiment, we were unable to retrieve any data from a BlackBerry, or the Samsung E590. However, Jones’s team found 10 phones that contained enough personal data to identify previous users, and 12 had enough information for their owner’s employer to be identified – even though just three of the phones contained SIM cards. Of the 26 BlackBerrys, four contained information from which the owner could be identified and seven contained enough to identify the owner’s employer. “The big surprise was the amount we got off the BlackBerry devices, which we had expected to be much more secure,” says Jones. While BlackBerry users have the option of encrypting their data or sending a message to purge data from their phones should it be sold or stolen, many had not done this. “Security is only any good if you turn the damned thing on,” says Jones. His team managed to trace one BlackBerry back to a senior sales director of a Japanese corporation. They recovered his call history, 249 address book entries, his diary, 90 email addresses and 291 emails. This enabled them to determine the structure of his organisation and responsibilities of individuals working within it; the organisation’s business plans for the next period; its main customers and the state of its relationships with them; travel and accommodation arrangements of the individual; his family details – including children, their occupations and movements, marital status, addresses, domestic arrangements, appointments and addresses for medical and dental care; his bank account numbers and sort codes, and his car registration index. Two further BlackBerrys “contained details of a personal nature about the owner and other individuals that would have caused embarrassment or distress if it had become publicly known”, says Jones. Although his team used specialist forensic software to retrieve data from the phones, much of it could be obtained directly from the handsets themselves, or by using simple software of the kind that is sold with a phone. “This was not designed to be a sophisticated attack, it used simple techniques that anyone would have access to,” Jones says. That’s bad news, considering that around 20 millions handsets were lost or stolen worldwide in 2008, according to UK data-security specialists Recipero. So how can people go about making their phones more secure? Turning on the security settings is an important first step, says McGeehan, as this may dissuade potential thieves from going to the effort of trying to crack the codes. Then make sure you delete anything you want to keep secret, while bearing in mind that it is often possible to recover it (see “Phone security Q & A“). “I work on the basis that anything I put on there I’ve got to be prepared for people to see,” says McGeehan. As for me, I’ve taken to deleting potentially incriminating messages as soon as they arrive in my inbox – and reproving the sender in return. I have also passed my old handset to my husband for safekeeping. If those brazen messages must fall into someone else’s hands, I’d rather they were the hands of the Don Juan who composed them than a smirking IT geek in a distant windowless room.